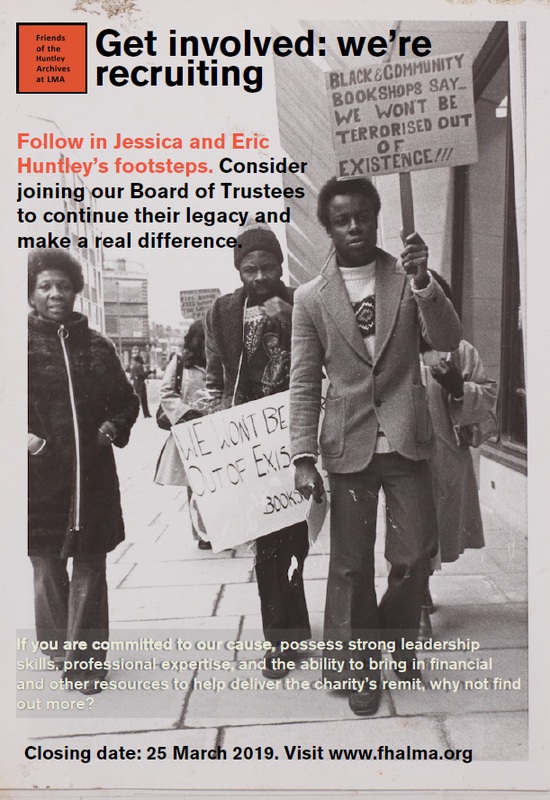 The Friends of the Huntley Archives at the LMA Foundation (FHALMA) is seeking to recruit up to five experienced individuals, including a new chair, to take up Trustee positions at the charity. The successful candidates will have a broad knowledge and understanding of the charity sector and current issues affecting it. They will possess strong leadership skills, professional expertise, and the ability to bring in financial and other resources to help deliver the charity’s remit. As a Trustee, you will provide secure good governance for the charity and contribute to the strategic development and management of the organisation. All Trustees are expected to monitor and review FHALMA’s performance at Board meetings including the AGM (Annual General Meeting), assist with fundraising activities and to act as an ambassador for FHALMA, representing the organisation at public events in the UK and overseas. Email volunteering@fhalma.org for an application pack or download the Trustee Overview, Chair Description and Trustee Role Description documents for details of how to apply.